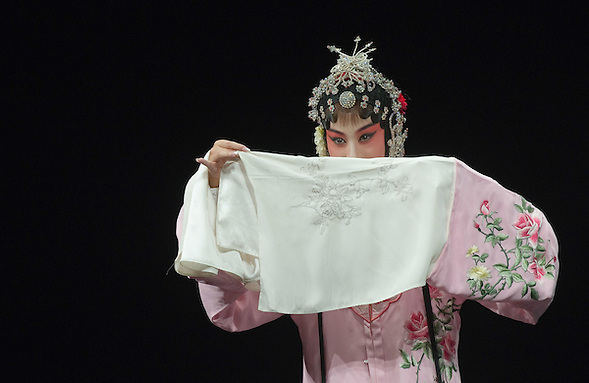 Luo Chenxue from the Kunqu Opera of Jiangsu performs at Teatro Goldoni on July 29, 2011 in Venice, Italy. Kunqu Opera, now under the Unesco patronage, originated in the Jiangsu province, dating back to the early Ming dinasty. With a history of more than six hundred years, Kunqu Opera is a traditional type of Chinese drama and one of the most ancient opera forms in China and in the world.